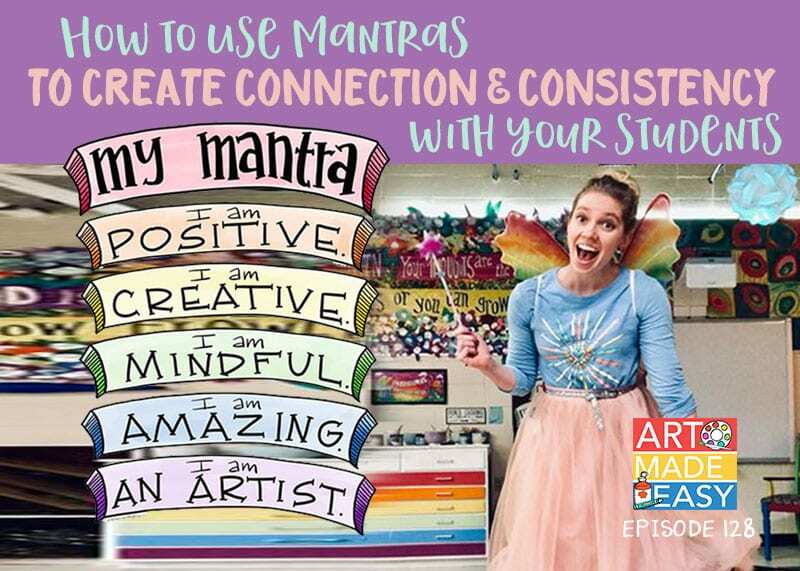 As an artist and a teacher you have the unique ability to inspire kids…to help THEM become artists, critical thinkers, decision makers and creators. As art teachers, we strive to be completely original, to inspire passion through process and pattern, and hopefully our students will appreciate our efforts. But if it’s our goal to generate original ideas and projects that lure children away from their iPhone’s and back to their sketchbooks, we have to work hard. It’s hard to develop a program that addresses the emotional, creative and academic needs of all kids. Not to mention the requirement to provide rubrics, assessments, scope & sequence and essential questions. It can get a little crazy! You may start to wonder WHY you became an art teacher in the first place. I put this show together because I sense some friction. I’m in a position to hear from many, many teachers…who teach in a variety of situations and locations. I sense that there is a desire to move towards teaching art the right way. You want to inspire kids by day but come back to your own life at night…to come home inspired from teaching. To have the emotional and physical energy to enjoy your family, your friends and fill your own creative well. One way to find a path that allows you to teach from the best part of you is to identify what your strengths are and to hold onto them. Perhaps one of the three types of art teachers resonates with you? In today’s episode, I’m pulling back the curtain and sharing how these three types of teachers can not only help each other but reveal how you can live your best life. 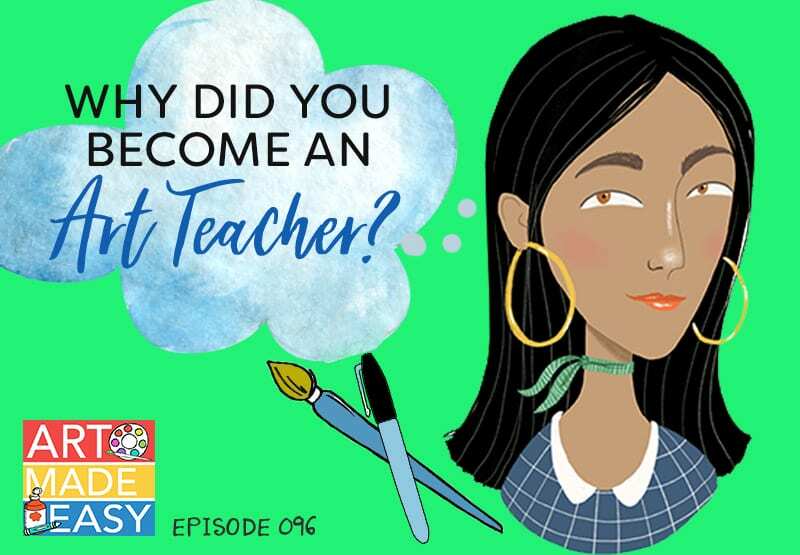 Now, it’s YOUR turn….WHY did you become an art teacher? I became an art teacher because, in art, there is not one right answer. 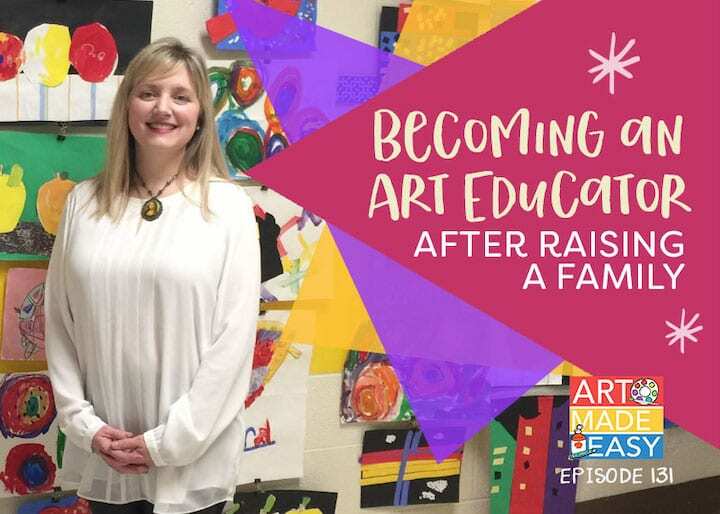 I’ve shared my story on the podcast (Episode 87), but I became an art teacher when I transferred to a new school and was expected to teach art to my 2nd graders. I am an Academic. I love the history of art, the stories of famous artists, and the connection of art to other areas of the curriculum. These elements are still at the core of the art curriculum that I deliver to my students each year. What I lacked was the artistic background to teach art with any degree of confidence. That’s where Deep Space Sparkle changed my life. 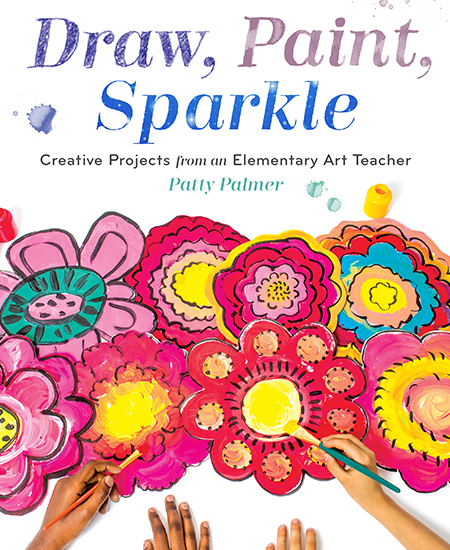 It gave me the knowledge, tools, lessons, ideas, and experience that I needed to help my students create art that they enjoy and take pride in. With these new tools, my passion for teaching art grows and expands each year. At the same time, art increasingly becomes the highlight of each week for my students. It fosters a sense of joy, beauty, creativity, exploration, and excellence that spreads to every part of our classroom experience. After 21 years of teaching, I feel more motivated and excited about my career than ever, and that is largely due to the invaluable role of art in my classroom. As always, you articulate things so well. I love your journey. I’ve learned so much from you! I am an a academic MEd in curriculum) but I am also an artist at heart. Art is usually seen as a classroom teachers responsibility but about 17 years ago a principal noticed what I was doing and asked if I woul teach all the grade 7 and 8 student (along with English etc). Then I also was asked to teach kindergarten as well. Now I teach JK/SK to grade 6 art and am in the library for half the day. In my school board an elementary art teacher is rare so I am a lucky girl. I became an art teacher through a very long and strange journey. Patty, as you might remember. But finally, I became an art teacher because I wanted to teach others about my love for art and how that there are no right or wrongs in art. Just create and express yourself. I’m old, so when I graduated from UNC, and art was still my ‘thing’, I knew I had to go into art education to even think about obtaining a job. I did teach awhile, did other things…interior decoration shop and fancy window treatment sewing, senior citizen activities director (Alzheimers), volunteering at any artsy thing I could with my son, and now back to elem art…..
From all that my son experiences today as a grad. , I think young people have to graduate with options. Fine arts major is ok, but thinking you can be an artist and make a living, is quite the challenge. So combining a fine art arts degree with other minors is what I would do if done over. Today, my job is a constant challenge that makes me a better person. Teachers do become everything….parent, psychologist, disciplinarian, coach, and although it is exhausting, it makes me very happy to watch a child be creative and get messy. (Most parents don’t have time for messy, they’re busy just getting the daily routines done) One of my big bulletin boards is all about what art careers they could consider, with 20 choices/photos. And although I see the beauty of technology, I also see the lack of skills that technology is taking away…..handwriting, small motor skills, thinking “outside the screen”. It seems every year there’s a major shift. Last 3 yrs it was ASW….oh me oh my….I understood it, finally got OK at it, and now no more, and I’m glad. This coming fall it’s EL education….expeditionary learning, which is awesome too. So I have alot to discover this summer. Being a classroom teacher is something you must love in order to stay the course. In NC teachers are not at all paid what they are worth. It’s sad for our future. I see the hours good teachers work, it’s amazing. I see the hours of the extracurricular teachers (art, PE, music, librarian, STEM, technology, chinese) and it’s stunning. I could easily be these students’ grandmother, it’s embarassing. But together with my principal, I’ve decided that it’s ok….bc children should have exposure to all ages and know that their real grandparents do know wonderful things and experienced rich learning that they can embrace as a child, you know? I hope they reach out to their grandparents and tell them what they did in art. Patty, I love your inner spirit, your willingness to work alongside, not above or under. You are a shining gem in my life, thank you! P.S. My mom, who is 91, comes in everyday to do all sorts of oddities, and she helps with my sewing club. Gotta love it! Have a beautiful summer DSS! I so agree with all your comments! Gettin messy, all the hard work that goes into teaching an extracurricular classes, under paid, but I do it for the kids and i love what i do! Thank you for what you do, we need more people like you! Three years ago I reactivated my certification when my son left for college, needing just one course requirement. I had subbed over the years but never had pursued a “real” art teacher position. Well I got a part time position with a contract, teaching k-3 and it has fit perfectly with life! It was a HUGE learning curve the first year and brought out tremendous anxiety issues, as I am an introverted type. But through many PD days and mentoring I learned how to be resilient , to stick to my lesson plans in the midst of misbehaviors, to seek collaboration and accept disappointments as a pathway to growth, to be hopeful and to appreciate resulting artwork. It has been an amazing, surprising, exhausting, unexpected time of personal growth in the area of communicating, and then additionally learning to instruct using all those assessment strategies. Many of my mornings in class began by listening to your great podcasts before greeting students! Because childhood is so short, I wanted to put some magic back in to childhood. I love seeing the kids excited, they always ask, “What are we going to do in art today?” How could you not love that excitement! Your first response to my comments will be “She’s crazy!” I will leave information about the school at the end. I would say that my category is facilitator/artist. Why did I become an art teacher? Because I am so old that I taught art at various levels for 46 years. 35 years at the school I retired from at 68. When I was deciding what I would choose to do (back then) my choices were basically secretary, nurse, teacher. Because I was fairly interested in Art, I chose art teacher. Did I have the same interest level when I retired for health reason? Yes, and more so. My career ended with a very satisfying feeling. 5-10% of art work was something I’d seen/90% were things that came from head and imagination. *They were the most fun!! I was very lucky to have the curriculum be my own. A lot of work, but worth it. student and professional artist shows, an annual Arts Month of performances/visits from art, music, dance, literature complete with a brochure, Kids Teach! field trip-4th gr children visited nursing home to teach residents art projects, Guest Artist visits/workshops, Saturday pottery classes, a one-night ART extravaganza with oodles of art stations/work to take home, Field Trips to the High Museum, Atlanta, for the block-buster, one-person exhibits. I was lucky enough to begin a volunteer program for parent/s to help mount and tape backs of 2-D art work. Takes some work, but we had some volunteers who came back year after year. A reception at year’s end was a good touch. purchase fine art work, take art classes in college and beyond, be a board member of an arts organization, take their children to art classes, museums, etc. How lucky I felt to have spent 35 years at a great school! **The Walker School, Marietta, GA is a private school, grades Early Learners (3s)-12th. We do have a good budget, there is enough to mount student art work to look nice for the hallways. teachers are usually flexible, the Administration has a “try it” attitude when it comes to new ideas and activities, and our volunteers are a great help. This will be my first year officially teaching art even though I earned my license ten years ago at the age of 40. My journey has been a long one. So in a nutshell, I chose a career change so I could teach children (especially the disadvantaged) that they have options. They can use art as an emotional outlet or as a way to provide a living for themselves. I was an Art Director for 8 years. I stopped to have my 4 boys. I wished to change careers because I fell in love with teaching my boys. I went back to gain a teaching degree to teach Kindergartners. I fell into teaching art! What luck I happen to ask a traveling art teaching at my son’s school how she got her job! There was an available position! I got it! The rest is history. I got my single subject in Art to teach Art to high school students; I teach Kinders art as well! Well, actually I had been working as drawing model for a group of art women, I just paid through some of my college expenses by doing that… and when I was back from college and looking for work the art teacher, the leader of the group, said to me: “let’s re-open my Art Children’s Studio, I’ll teach you everything, we will be partners” and I said YES and learned a lot (I am a writer by profession) and found it relaxed me. When she decided to close shop again, I moved to another city, but carried half of the stuff!! I don’t have a teacher art studio or background but now I’m a children’s author and do academy research on children’s books… so I decided to mix both experiences and offer teachers and kids alike lessons based on available children’s books… I did a ton of free stuff to test out my ideas but now I’m actually being paid for one art date for kids, we do it once a month in a library. I also work for free with about a hundred kids from ages 4 to 17 in a special facility and I love that, they give me free way to test out everything! I loved to volunteer at my sons school and I thought I wanted to be an elementary teacher. I had to take just ONE art class. I loved making art in high school as a kid. My mom even put me into painting classes. Anyway, I did so well in Drawing I that the professor said I should be an art teacher. I told my mom and she told me to stay on track for elementary teaching but take one more art class – 2D design. One thing lead to another and my adviser said that they had too many elementary ed students and if I could do art and teach it, I should. I ended up subbing for two years before getting this position but I love my career! Happy dance! I became an Art Teacher this year by volunteering for it at my sons’ school. Art was going to be taken away due to budget concerns. I refused to see that happen. I was a classroom teacher prior to my oldest child’s birth, and now a stay at home mom, but NO formal art training. But I’m Theatre Educator, the Arts are very dear to my heart, so I volunteered this “role”. I have LOVED every second of it. I do feel like I lack the inherent know how with tools and proper techniques that a real art teacher possess. But I love teaching art. It has become my passion and I’m eager and excited to learn new things in this world of art. I cannot thank DSS enough. I’m learning so much being a member. My room is filled with amazing bundles of art and there are so many amazing resources here to help me grow as this art teacher. And I’ve just begun the journey. 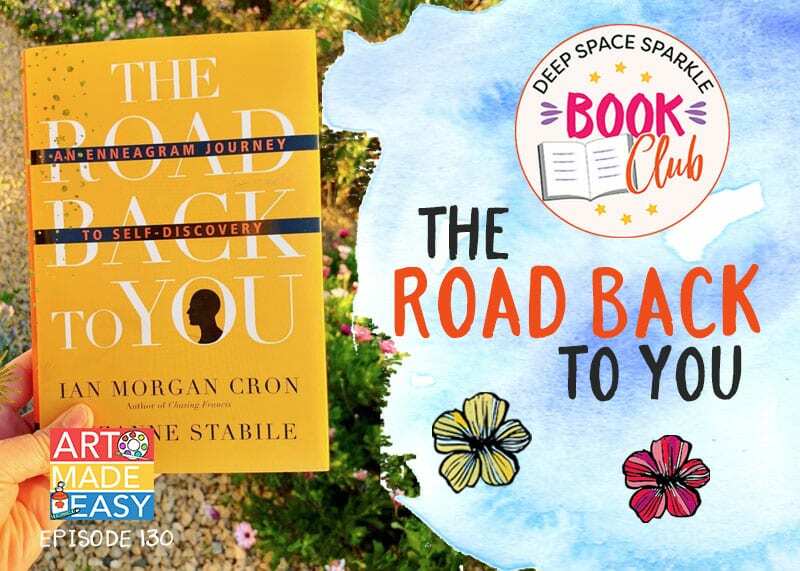 I cant get over how our paths are so similar….and like so many of the members in the Sparklers Club. We’re on this journey together! I love Art and teaching Art was extremely rewarding! To share the art experience is the best feeling ever!! I love to see the students eyes light up when the see their finished creations!! Unfortunately a mother did not like me so she falsely accused me of hitting her child and I lost my job as an art teacher! My children’s art teacher, Shelly, begged me for two years to become her substitute teacher for the once a year conference she would attend. She knew that I was an artist. I studied drawing and painting in college (in the 90s but did not finish my degree) my aspirations at the time were to run a gallery or arts council, not teach. I had taught at a camp one summer and joined my son’s class to create a pear drawing with them but teaching hadn’t entered my mind until Shelly finally convinced me to sub for her. It was my 41st birthday and I loved it but returning to school to finish a degree still hadn’t crossed my mind until Shelly suddenly became ill.
Shelly died less than two months after my birthday (She was only 46!). I knew I want to be there for my children and the students that I had already loved so much to help them heal and adjust to Shelly’s passing. Less than a month had passed before I knew that I wanted to go back to school for a teaching degree. I taught the last few weeks before Christmas break and the entire spring semester. It was very difficult but something I have cherished ever since. The experience made me see the power of God’s calling! I could not keep the teaching job at my children’s school because of the year of college I was lacking but started online classes the week after school ended and finally finished my Art Education degree in Dec 2016. I was offered a job four days after graduating, taking over another nearby art program after a teacher was fired. I have been there since and love these kids so much! I have been wowed by their talent and enthusiam. I teach 348 students, K-8. I found DSS because of Shelly. It was while we were texting during her illness that she mentioned your fantastic project ideas. She has been my guide and inspiration in so many ways. I credit her (and blame a little!) for pushing me into this vocation. I am constantly learning new management avenues and further studying artist I have long admired. I never thought that I would be here 5 years ago but am so thrilled that I am. I am trying to become more academic but ultimately, I am an artist. Oh Michelle…there are no words. Sweet Shelly is in my heart now. I love your story. I cant thank you enough for sharing. I became an Art teacher because I love art. I also wanted to inspire children and equip them with positive tools for self-expression. I really love how all the students can feel successful! I started out as a volunteer through the Art Masterpiece program sponsored by the Phoenix Art Museum. The student’s excitement was infectious! Or maybe they were infected by mine. The program provided structure that made it easy to deliver a lesson and execute a project. The “Ah – Ha” moments experienced by the students were awesome and made all the prep worthwhile. I had never thought of myself as college material but the teachers I worked with were so encouraging that I found myself going to college for the first time at age 42. The economy wasn’t doing well so I decided to go for a Gen-Ed degree. I finally graduated at age 52. After teaching second grade for two years I decided to pursue my passion and teach Art. I took the NES test and passed! I actually got hired at a public school and have survived my first year teaching preschool through 8th grade . I have been anxious, overwhelmed, and over-the-top excited with the great work being produced in my class. With so many different grades and skill levels, I really struggled with what to teach. I wasn’t sure what was appropriate with what grade or if the projects I was doing satisfied the standards. I have struggled with classroom management too. 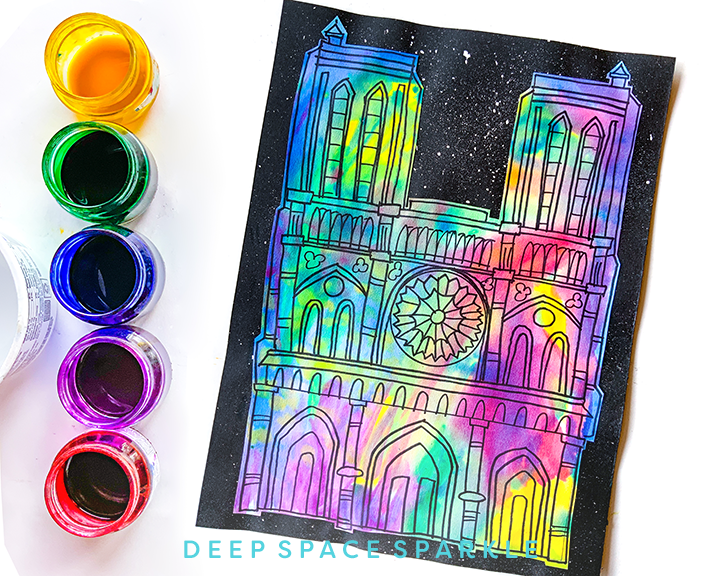 A colleague recommended Deep Space Sparkle and it has been a life savor!I love the step-by-step instructions, the resources, and the great examples of student work. I am looking forward to Marrisa’s Art Curriculum book. I didn’t become a Sparkler because I feel inexperienced with very few ideas to share. I could really use the curriculum book now as I’m preparing for the next school year and we start teaching at the end of July. Is there anyway to join before August and get the curriculum material sooner? Hi Patty, Great pod cast! I guess I would call myself the “volunteer” with a little of “the artist” mixed together. How I came into teaching art was actually through volunteering at a non profit cancer support center. They have a lot of welness programs and one of them was art. I fell into that position because I had just left my job as a graphic designer because I was burnt out! I needed something that would allow me to give back to people , I knew this was the only way to bring myself out of my funk! So I went to my local hospital and and went to the volunteer admissions and did all the meetings to find out where you would be most helpful. It is quite an amazing story, it came down to my one on one meeting the the volunteer director and as we were discussing where I might be most helpful, I interrupted her and asked her who painted a painting that was on her wall. I couldn’t take my eyes off of it, it was exquisite! I quickly apologized and told her that I was an artist and I appreciate other people’s talent! She just kept looking at me for a very LONG minute and I wasn’t sure what she was thinking, and then this huge smile lit up her face. She told me that the painting was painted by a gentleman who was an artist himself and who had cancer. This gentleman knew the healing therapy of what art can offer so he came to her and asked if she would let him volunteer teaching art to cancer patients there at the hospital. Of course she agreed. It saddened her to tell me that he did pass away 2 years before. And she said she had never really thought to re-open the position. And then she smiled and looked at me and simply asked if I would like to carry on what he had started. Well you know my answer. So I started by volunteering teaching art to cancer patients at the hospital 3 days every week. For 3 years. I couldn’t believe how Blessed I was to be a part of something so special. Mind you these were adults. This blessing led me to my next blessing, the non profit cancer support center , when they lost their art therapist they decided not to keep it a paying position and someone from the hospital told the president about me and they asked if I would like the position of teaching the art wellness program. Of course I said yes!! Now, I taught cancer patients there for 6 years, and here I taught adults and children. Now for sure there could not be anything better than that. But yet, another blessing came my way in a relation to all this. Someone heard of what I do at this support center and told the president of education at a very well known art gallery in my local area about me. I got a call to come in and interview for a teaching position for children, ages 7-11. I was soooo nervous cause I had no teaching degree and although I had 9 years of teaching art experience -l still was not a “teacher” and certainly not in a class room setting and certainly never got paid for it! WOW, talk about a huge blessing?! So there you have it, just a girl who loved art since she was a little girl, who went to art school for design, who got burnt out of corporate world, who then wanted to just help others and in return got the biggest blessing of all! So you tell me, am I “the volunteer “ or “the artist”? Lol… either way, I need help from anyone and everyone! I just want my students to get the best of me as they can. I love what I do and I am so glad to be a part of everything you do for us! Thank you Patty! I am a classroom teacher. I love art, I love dabbling in art, and want my students to feel that they can achieve in art experiences. I like demonstrating different styles and methods of creating. I love colour and shape and form. Sometimes I get to paint beside my students, I love those times, but mostly I am roving around the room, giving hints and ideas of how to improve their technique, and expressing positive encouragement about the parts of their artwork that are working well. Sometimes there are those who cry out “I have ruined my work!” It is then that I like to help them realise that sometimes a mistake actually creates something beautiful (I might give a little anecdote of ‘back when…’) or that it can often be turned into something other than what was first thought. Hi Patty, I’m loving what you do & I feel your talking my language, I so get everything you said here. I studied Art in collect with a Diploma (3 yrs) in Fine Art Printmaking with a Distinction in Art. I then discovered I was Dyslexic struggling through Art History having failed my Dissertation, this I needed to get into Teaching Art. So I struggled for a few years with everything else, excelling @ Art & volunteering my time making very little. Then a year ago I fell into teaching Art & Crafts in a 1 hour class once a week to a group of Disabled people. It grew each week becoming better & better, I just love using my creativities & offer lots of extra hours of volunteering just for pleasure & for better standards in the class. I find the more I’m prepared the better the class goes. Now I have 3 classes a week so I’m very busy. I find I’ve loads of ideas & completely open to learning anything that makes it easier or better. I struggle with planning & have to work hard @ organising. I totally understand your 096. Love what you do! I am an artist art teacher. I have been doing this for 21 years. 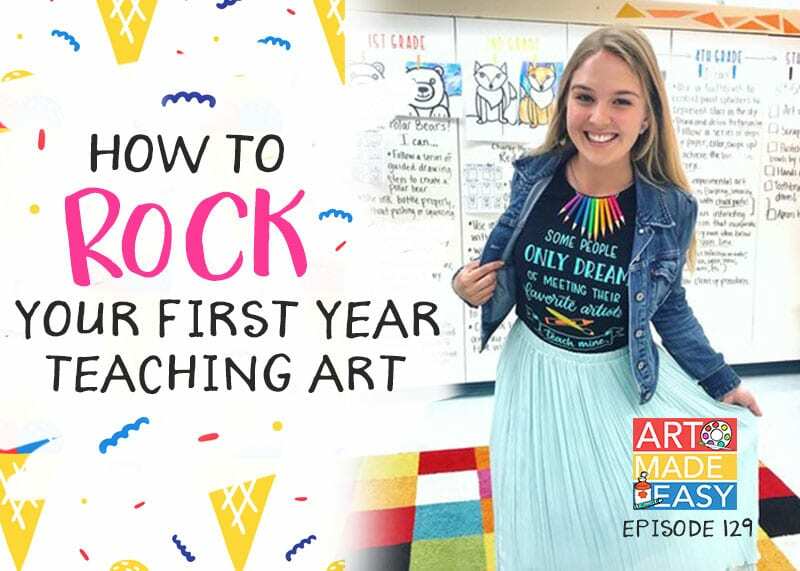 I became an art teacher because I wanted to teach children about art and be the catalyst for my students to express themselves, start a dialogue, and most of all… enjoy ART!!! I am a volunteer art teacher. I have always been creative, sewing, took a tole painting class.. painted saw blades, did folk art, flower arranging, then became the activities director/social worker at the nursing home.. working with Alzheimer residents. I am a singer, so I volunteer twice a month at the nursing home and manor. entertaining with music.. I am a scrapbooker, card maker, and a grandma. Two years ago, I was cleaning out my scrap book room (it was a disaster, always a mess.. no creating happened in there). My then 8 year old grandson wondered what I wanted to do in this room I told him I wanted to teach kids art… meaning teach my 6 grandkids art. I had tried out a few things from Pinterest.. I could make it come together for me.. but teaching the grandkids… epic fail.. I had no idea what skills a kindergartner, 1st grader and a third grader could do. 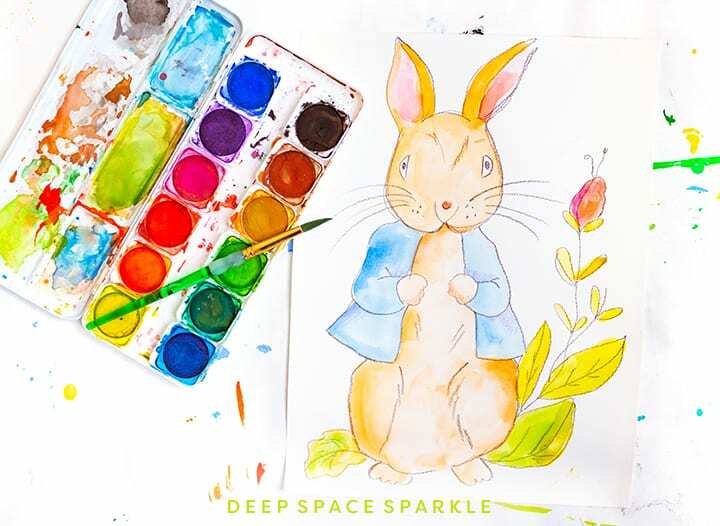 So I began looking for art teacher blogs online… found Deep Space Sparkle. Tried out my first lesson “Petunia” on my five grand children… the book was darling, and with the instructions.. even the 4 year old was successful. Patty was just launching the members club at that time, so I joined.. thinking only of doing art with my grand kids. When the subscription started, I was so impressed with the lessons, I opened my art room to students, on Fridays (we don’t have school on Fridays). I was surprised that so many families wanted to pay for art classes. I had 4 classes, six students in each class.. I did a 6 week session of lessons. Then another session and another. I listened to Patty’s podcasts on hosting an art camp… so I hosted an art camp the summer of 2017… three camps, 38 students total. We live in a rural area, and our school has never had an art teacher, but they have an art room full of supplies, and the classroom teacher would just use the room to do whatever art project they occasionally had time for. The principal (after seeing the art the kids had done in my classes and art camp), asked if I would be the “artist in residence” for the elementary. They wouldn’t be able to pay me, it would be on a volunteer basis, would I consider it. I am 60 years old, we run a trucking business from our home ( I do all the office/accounting for that). I have 3 grand kids in this school and I said I would.. thinking I would see each class once quarter for a special project. Apparently I didn’t articulate that very well, and my friend, the principal told the school board I would come twice a week, and teach 2 classes each day. I would see each class twice a month! (K-6 grade) I wasn’t sure I could do it, but from the first day I was hooked. None of those kids had ever had a regular art class.. and DSS lessons made it so doable.. to teach wonderful, rich lessons.. and I love it! And I have learned so much.. about artists, techniques, art history, and how to teach ) I know I am not a teacher, I don’t have a college education, but the lessons and support make it possible to teach, and teach well. This is the only way the children in our school could have an art program. I make my living off our trucking business, and my volunteer jobs are just way more fun.. singing at the nursing home, and teaching kids art. I did do another art camp.. just last week.. I had two age groups with a total of 37 kids for a week. It was great fun, way too much work, hugely successful… but you know what.. I’m really content just doing the volunteer art at the school. I had so much fun planning, and teaching, and seeing the results of what the kids could do, just filled me up. So thank you Deep Space Sparkle!! I wanted to be an artist but my Dad said I would starve. So he suggested being a teacher. I am certified pre-k to 8th grade. I have been director of a Pre-school and taught three year olds. Then I taught Social studies grades 5 to 8 in a Catholic School. We had no art teacher (funds)so I taught art after school as a club. Then our school was closed. Moved to another Catholic school and they closed that one too. Kept teaching art at my home to students, Then retired and now teach art in a private Christian school, grades k to 8 on a cart. I loving every minute of it , I am 76 years old and not going to quit. My students are amazing! Irene… you are amazing and inspiring! After teaching Kindergarten for 33 years in a private school; the school decided to drop the Kindergarten program. Dilemma for them. What do you do with an employee that has been at the school for 33 years. Event a new position. I was given the privilege to event an art program for the two to five year olds in the school. I was familiar with process art; but did not know that there was a “name” for that style of art. So, I began researching art ideas for that age group and have found a plethora of resources (thank goodness for the internet – and your site being one of those discoveries). I ave had a delightful year teaching art. 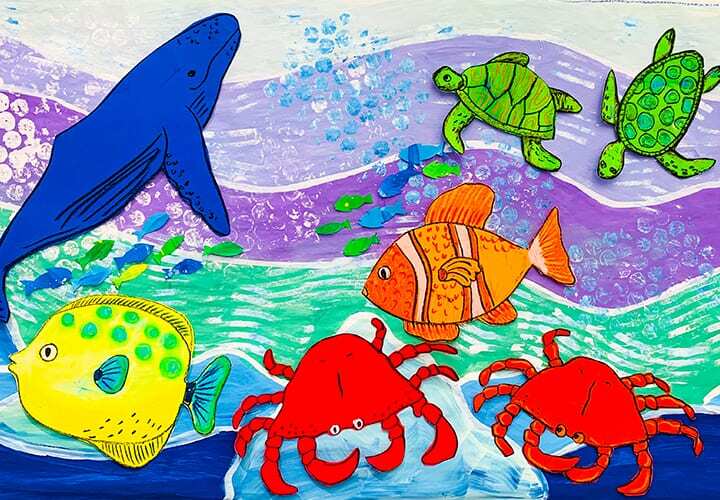 This summer, I will be a traveling art teacher to our summer activity school age programs. I am very excited for this new venture in my life and teaching career. I am the academic art teacher. I have taught for 27 years and left teaching because of burn out , lack of administrator support , and a ill mother-in-law. Working in an after school program with children at risk my passion to help them see that they were special and had great abilities grew. I had looked into the Deep Space Sparkle to see if I could teach it as an after school program but it didn’t become a possibility at that time. Later into the year one of my co-workers said they needed an art teacher. I said I could do that and with the help with DSS I knew art could be fun and help my students see what potential they had if they were exposed to art in a different way. I love teaching art. I love seeing the students tackle things they have never tried. But the biggest reward is having the student’s beam at their first art show over something they did in class and dragging their parents in the room to see what they drew. Or having an eighth grader yell out “Ms. Betty you made Sarah love art this year.” That is why I am glad to be an art teacher. I’m a professional artist and art practitioner and have been making art for as long as I can remember. Art is all around us and for me personally is part of who I am. I simply cannot imagine my life without it, thinking creatively is just how I tick. Sharing my art practice is part of the making process so teaching art is just part of the circle. I always think of myself as a cake cut in half, half making, half teaching and two halves make a whole! I became an art teacher when the director in my school offered it to me as the position opened up due to reassignment with the previous art teacher. I had been a Pre-K teacher and Spanish teacher previously. At first was a little apprehensive if I could teach art at all because I did not have a Fine Arts Degree, but felt like a new door had opened up to me and I felt like I was up to the challenge to try it. I quickly realized I had a passion to teach my students to love art making and together we all made the journey determined and inspired. 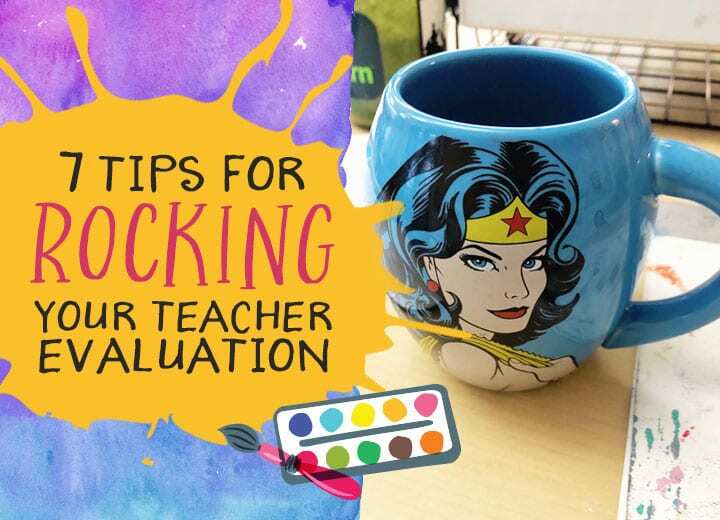 The first year it was a challenge as I had to come up with lesson plans that fulfilled all the aspects of an academic lesson, while becoming artistically motivating to my students. I also had to develop good class management skills as I desired a structured class that also offered a fun and creative opportunity to all my students. I teach Pre-K through 8th grade Art, and thanks to DSS I have discovered I can be an academic, artistic, structured, fun and creative art teacher. The lessons and resources DSS has provided has given me confidence, determination and a true love in teaching art to all my students. They feel successful and that makes me feel proud and inspired to continue in this wonderful journey as an art teacher. Thanks to Patty and all the DSS staff who work so diligently in providing great lesson plans and more. Hello Patty, this podcast was a God sent! There was a part that say you are you with the gifts given to you, go all in with what you are given and to get help with the rest. Additional about the nagging voice of ” I’ve got do better”. Thank you!!!!!! I like to think art teacher found me, because I did know such a thing excited or that I could be one…Well, an administrator, when worked different jobs one was a floating substitute had asked why not go for an art teacher position. Thank God, I did and took a chance to do it. I went to an interview and they asked me for an art lesson. I recall that one of the vocabulary words from somewhere for art district map: a line: a dot that do for a walk. I So out of nowhere I found myself go into an animated mood storyteller and hand movement of dot that created different lines, asking can you make a dot for a walk? That was fun. I the first year I loved seeing kiddos, and having fun creating with students and the joy of making. I have to say year 5 I starting to questioning with all the academic requirements now. Still struggle with explaining why we are doing the art lesson or project we are doing in academic terms. I know we are hitting and covering the standards and such…just not good at matching up and wording. I have to admit I love the art making process more than the product. Because I know a first grader will at some point mix a bunch of colors and get excited at see the wonder of color before there eye and yeah it may look like “brown or muddy” at the end…but that something the kiddo explored and now knows something they didn’t before. Honestly the student still loves there art and fact of making something. I think I need to believe in myself and that I am a good art teacher. I have hear it from many others, but the reality I think all this time I was in doubt. Light bulb moment there. oh I had recently graduated from college with an art degree. You are doin exactly what you are meant to do! The standards and verbiage will come…we do that all for our members, so you can do what you do best: teach! Thank you so much for sharing your story!